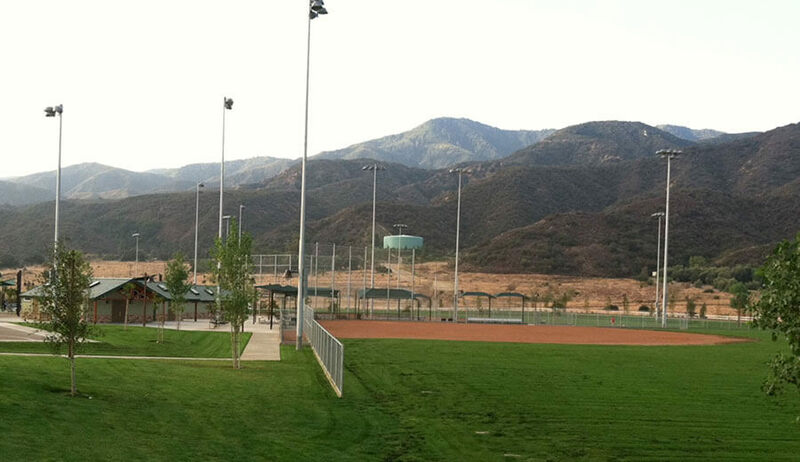 The Temescal Valley Sports Park is located on a 27-acre site and includes two regulation soccer fields, four youth soccer fields, two lighted baseball fields, a lighted tennis court, a basketball court, a water play area with shower, two play structures, a concrete skate park, a dog park with separate areas for small and large dogs and shade structures in all these areas. A monument sign with stone plinths adorn the entry of the park. 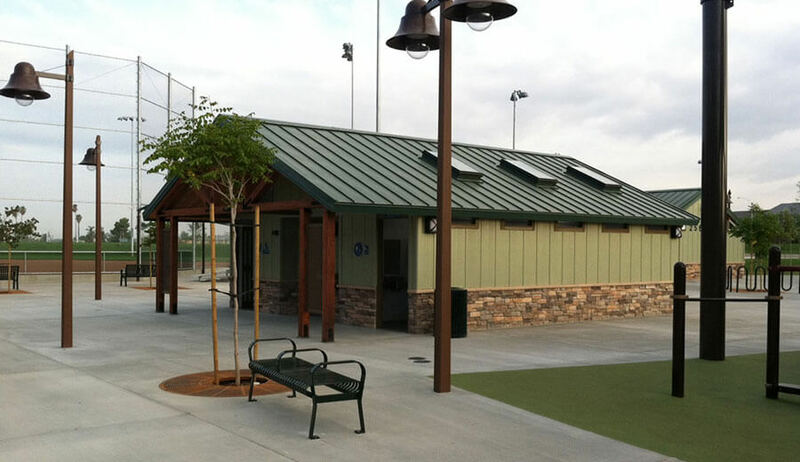 Other amenities include: four picnic shade structures with barbeque areas, a permanent concession/ multi-use building, restroom building and two parking lots. Over three hundred trees were planted throughout the park including a 72” sycamore tree in the center of the brick paved plaza serving as the focal point of the park. A lighted decomposed granite walking path encircles the park and connects to existing paths creating a neighborhood walking trail. 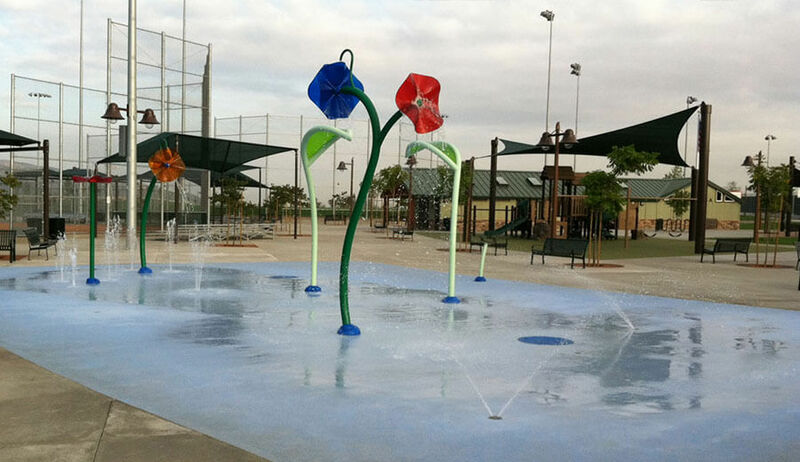 The multi-purpose community park is part of a new community master plan with areas surrounding the park that are both currently occupied and still under construction. 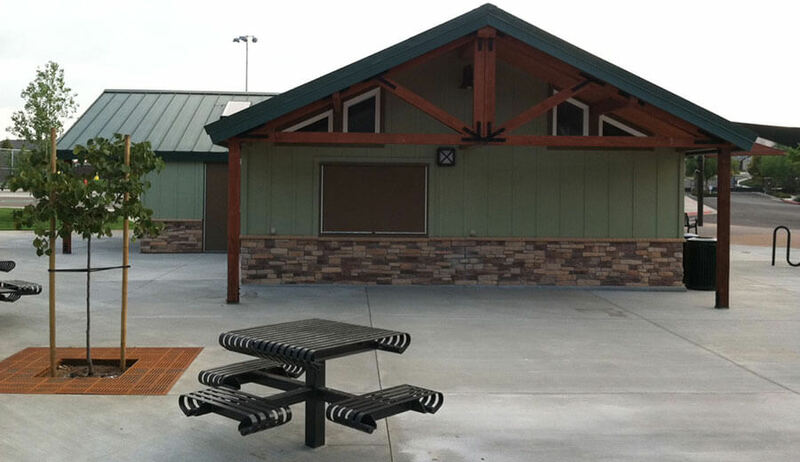 Soltek coordinated the park project with consideration for both the residents of the surrounding occupied neighborhood and the construction efforts of the houses still being built.